John G. Shaw, age 96, of near Hannibal, Ohio passed away Saturday at Westwood Landing in Woodsfield, Ohio. He was born July 16, 1921, at Benwood, Ohio, a son of the late William H. and Eleanor (Eikleberry} Shaw. He married the loving Martha Mildred Straub on May 31, 1946, who preceded him in death in 2015. September 25, 1942, he enlisted in the United States Army Air Force. Serving in World War II as an Airplane Crew Chief, he received an Honorable Discharge on December 29, 1945. He retired from Consolidated Aluminum and also was a retired Farmer. He was a faithful member of the Laings Church of Christ where he served as an elder since 1962. He served many years as a Board Member for the River Local and the Switzerland of Ohio Local School Districts. 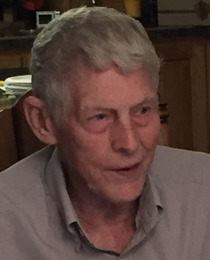 He served as an agent and director for the German Farmers Mutual of Sardis Insurance Association, a director for Monroe Water Systems, a board member for Laings Community Organization and the West Union Cemetery Association. In addition to his parents and wife, he was preceded in death by one sister Ima (Bill) Gray; two brothers, Russell and Virgil (Maxine) Shaw. He is survived by a son Alvin (Kathy) Shaw of Boise, Idaho, daughter; Janis (Gary) Alleman of Sardis, four grandchildren; Keith (Suzy) Alleman, Lisa (John) Potts, Rick (Traci) Alleman, and Kevin (Stacey) Alleman, four great-grandchildren; Tyler Alleman, Darren Shaw, Kaden Alleman and Kayne Alleman. Friends received from 2:00-8:00 P.M. on Thursday, July 5, 2018 at the Bauer-Turner Funeral Home 100 S. Paul St Woodsfield, Ohio, where funeral services will be held at 11:00 A.M. Friday, July 6, 2018 with Mark Tonkery & Rick Tincher officiating. Interment with full Military Honors ceremony will be performed at the West Union Cemetery by the Hannibal American Legion. Memorial contributions may be made to the Laings Church of Christ, PO Box 24 Laings, Ohio, 43752.